It’s the longest running and most successful entrepreneurial program of its kind, connecting the South Australian business community to students, academics and the general public through competition. Since its inception by the ABS’ Entrepreneurship, Commercialisation and Innovation Centre (ECIC) in 2001, the Australian eChallenge has attracted over 2370 participants in 530 starts ups, and distributed cash and prizes worth more than $1.3 million. And 15 years on, in 2016, it’s still reaching enviable heights. At its launch this year, an unprecedented 72 teams of young entrepreneurs entered the Australian eChallenge for three months of competition-based learning to develop a business plan for a new, previously unfunded concept. Targeted at university students from any discipline, it develops strategic thinking for early stage business ventures, whether new products, services or processes, and turns them into viable business opportunities. 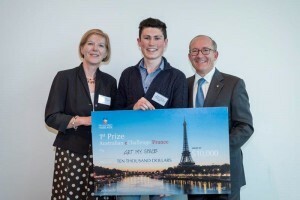 Teams of two to six people compete for both prizes and the prestige of being named the most outstanding Australian eChallenge entrepreneurial venture of the year. So, understandably, competition is fierce. With multiple opportunities for engagement with industry experts and business leaders, the Australian eChallenge positively impacts both our students and the local business community. And it also creates contagious energy among its sponsors, mentors and judges who are keen to promote innovation and new talent among the community. The program’s revered success over 15 years has proven that through this stimulating education process, true entrepreneurs are born. And multiple new, innovative business ideas are brought to life. 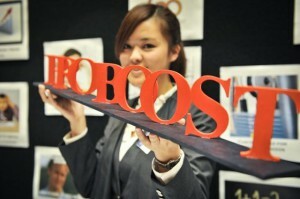 All while students learn valuable skills to develop and run their own business. In fact, many participants have gone on to run successful businesses, providing further proof that the eChallenge creates genuine commercial prospects. Enrolling in the eChallenge as an undergraduate or postgraduate academic course (Australian EChallenge Course), which academically recognises their involvement. Plus, multiple streams in the eChallenge make it suitable and attractive to a wide audience of interests including streams in family business, research commercialisation and social enterprise, as well as the in schools, tech and French eChallenges. The winners of the Australian eChallenge 2016 will be announced at the awards dinner on 18 November at the Adelaide Oval. This is the premier event of the eChallenge where finals teams present a 60 second pitch to a captive audience of business, industry and community leaders. It’s always a much anticipated and exciting evening, celebrating three months of hard but rewarding work. Until then, there’s more good news. Word is spreading across the globe. The French eChallenge will recommence in 2016 (for the second year running) and will be followed by the launch of new eChallenges in Italy and Vietnam in 2017, giving international participants the opportunity to launch their entrepreneurial ventures in South Australia. The ABS is proud of the ECIC’s achievements in successfully creating a long-lasting and inspiring entrepreneurship program that engages students in their learning and greatly benefits the South Australian business community. So watch this space. Because the sky’s the limit as to just how high the Australian eChallenge and its international counterparts will continue to soar. This entry was posted in Connect, News and tagged Australian eChallenge, commercialisation, echallenge, ECIC, entrepreneurship, innovation, innovative business. Bookmark the permalink.